So I shared exactly one foil packet recipe last summer. ONE. 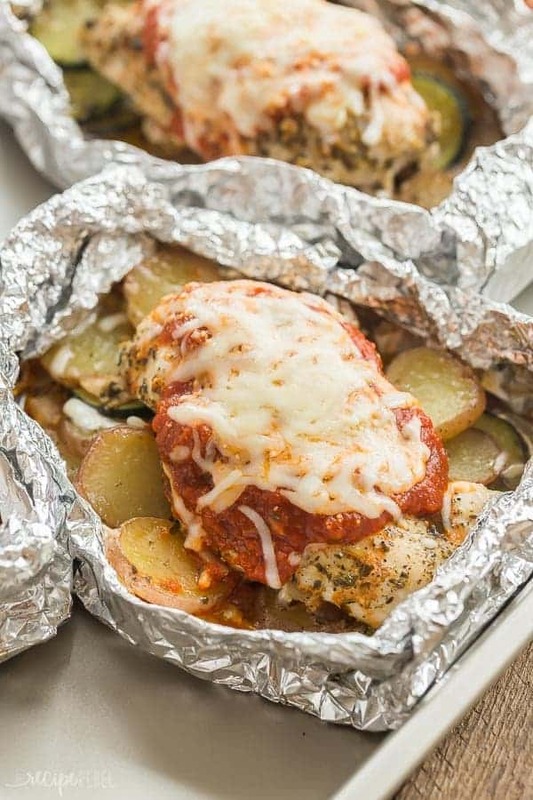 These Chicken Parmesan Foil Packets are a full meal deal, complete with convenient Little Potatoes—ready to use out of the bag with no peeling required, slices of zucchini, moist chicken breast topped with tomato sauce and stretchy, melty cheese. I love how easily these Creamer potatoes round out a summer dinner! Summer comfort food at its finest! One thing I love about these foil packets is how easy they are to make ahead and bring along in the camper. We bought a camper last June and have been loving the extra family time we get on the weekends by taking off (away from the kitchen and the computer!) and exploring different campgrounds, but it can be a lot of work to get all of the food packed and ready to go. 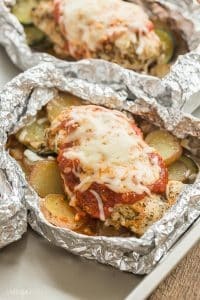 Chicken foil packets like these are super easy to prepare ahead of time (especially since Little Potatoes require no washing or peeling! ), wrap, and refrigerate or throw in a cooler until you’re ready to cook. Easy is the name of the game here! You can easily make these dairy-free by leaving of the cheese or using dairy-free cheese. These chicken foil packets are naturally gluten-free! Just be sure to double check all of your ingredients. Feel free to swap out the zucchini and throw in whatever veggies are in the fridge or garden — just keep in mind that they all cook for different times, so you’ll want to choose something that is okay on the grill for a longer period of time. If you want to lighten up this recipe, skip the oil and season the chicken dry instead. 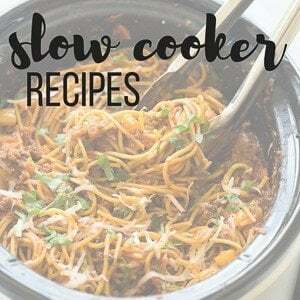 This recipe is easily adapted to the oven and is perfect any time of the year! You can prepare the recipe according to the original directions, seal and bake at 400 degrees F for roughly the same amount of time. 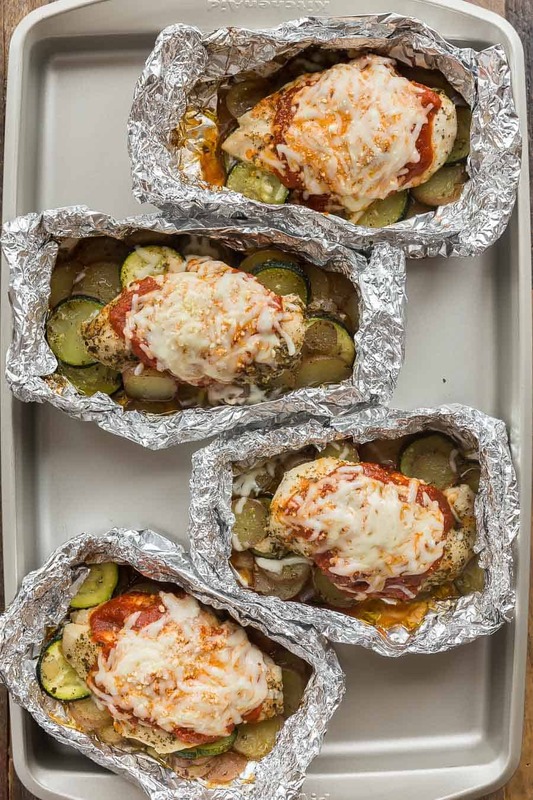 Or, if you prefer to skip the foil, you can layer the potatoes, zucchini, chicken, sauce and cheese in a baking dish and bake until potatoes are tender and chicken has reached a minimum of 165 degrees F.
Watch the recipe video and see how to make these Chicken Parmesan Foil Packets! *This post is generously sponsored by The Little Potato Company — thank you for supporting the brands that make The Recipe Rebel possible! Preheat grill to medium-high heat, or roughly 400 degrees F, or preheat the oven to 400 degrees F.
In a medium bowl, combine oil, pesto, salt, garlic powder, black pepper, and paprika. Place potatoes, zucchini, and onion in a large bowl and drizzle with 3 tablespoons of the oil mixture. Toss until everything is coated. Lay two sheets of tin foil one on top of the other. Repeat 3 times. On each of the 4 pieces of foil, place 1/4 of the vegetables in the center. Place 1 chicken breast on top of the vegetables in each of the 4 packets. Brush chicken with remaining oil mixture. 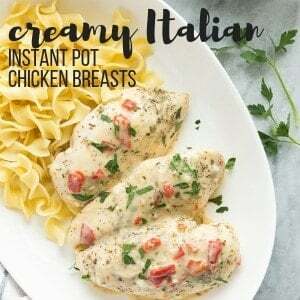 Open each of the packets (you can do this right on the grill if it's not too hot -- just use some tongs to open them) and spoon 3 tablespoons tomato sauce on top of each chicken breast. Top each with 3 tablespoons mozzarella cheese and 1 tablespoon Parmesan cheese. Close the lid on the grill or place back in the oven just until the cheese is melted, potatoes are tender, and chicken reaches an internal temperature of 165 degrees F, 4-5 minutes. Serve immediately. I tried your chicken foil pack recipe today. Thumbs up from my children, hubby and mum. All 3 generations love it! I used fresh chicken thigh meat, swapped onions for thinly sliced bell pepper, skipped paprika and Parmesan. Everything still turned out well!! Thank you very much for sharing the recipe!! Thanks for including the nutrition facts. I can still hear my cardiologist yelling after hitting the floor over the sodium. I am going to have to work with this to find the sodium and adjust it down. I am going to make a batch and have 2 of these for dinner tonight and then freeze the others for our camping trip. That way we can spend the day hiking and then come back to the motor home and have a quick dinner and no mess to clean up. Thank you for popping up on the computer screen! I’d love to hear about any tweaks you make and how it works out! Thanks! My nutrition information is calculated automatically by the recipe plugin. It is usually pretty accurate, but if you’re unsure you may want to punch the information in manually into My Fitness Pal or a similar calculator. I think it’s calculating high too. 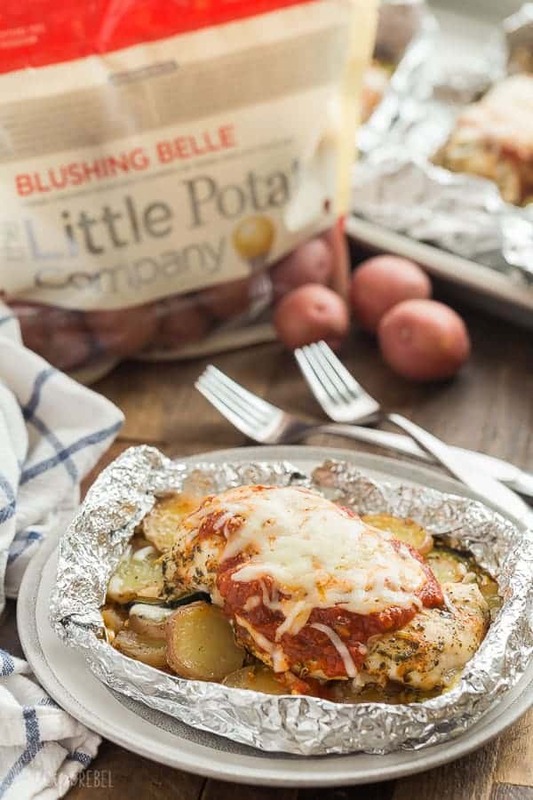 The blushing belle red potatoes from “the little potato company” are 19g.carbs for 6 potatoes, and that’s the only thing that really has a significant amount of carbs, so it might be calculated higher than actual. This seems like a pretty healthy meal, and it’s also delicious and simple. Love it! I think the nutrition calculator does generally go a little high. As soon as I saw the title foil packs I knew I had to try this. Sounds amazing. Then I read that you’re from MB! AHHH me too! I’m excited because you are the first food blogger I’ve come across that is from here. 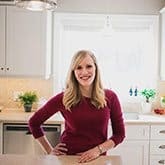 I’m an avid food blog reader and I’ve been following you awhile but had no idea! Now I love you even more! I’m from Winnipeg now, have lived all over the world, but grew up in a small town of 400. Keep pumping out the awesome recipes and gorgeous, mouthwatering photos! Ahhh that is so awesome! Hi Tara! I’m so glad you found me 🙂 I hope you enjoy the foil packets! I can hardly describe how much we loved these! My hubby raved and raved and he hardly does that. And so healthy. He is super health conscious and I struggle to find meals everyone (4 young kids) loves that is super healthy and low to no carbs. This really fit the bill! Can’t wait for more! I tried leaving a 5-star rating but it didn’t work on my tablet. Deffo 5-star though! Oh bummer. Thanks for leaving a comment! How have I never made foil packets before? 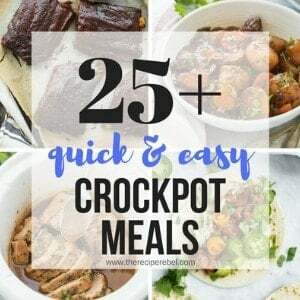 I love easy make-ahead meals like this – it would be perfect for the busy weekdays. Plus, the flavors sound delicious! I just love foil pack meals! It makes clean up so easy!